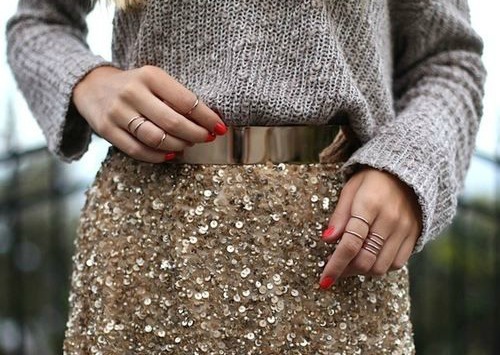 For some people an all year round staple, for others a look saved for December - sparkle is a great way to add some twinkle to an everyday outfit, but don't go over the top or you will end up looking like a Christmas tree. The basic way to style this look is with a statement sequin jacket or fabulous pair of shoes, but if you want to be a little bolder try a skirt (mini or pencil as floaty styles don't work) or structured trousers - for this look to work it needs to be clean and tailored. Whatever item you choose, team it with your favourite jeans or tee to add in a more casual vibe. 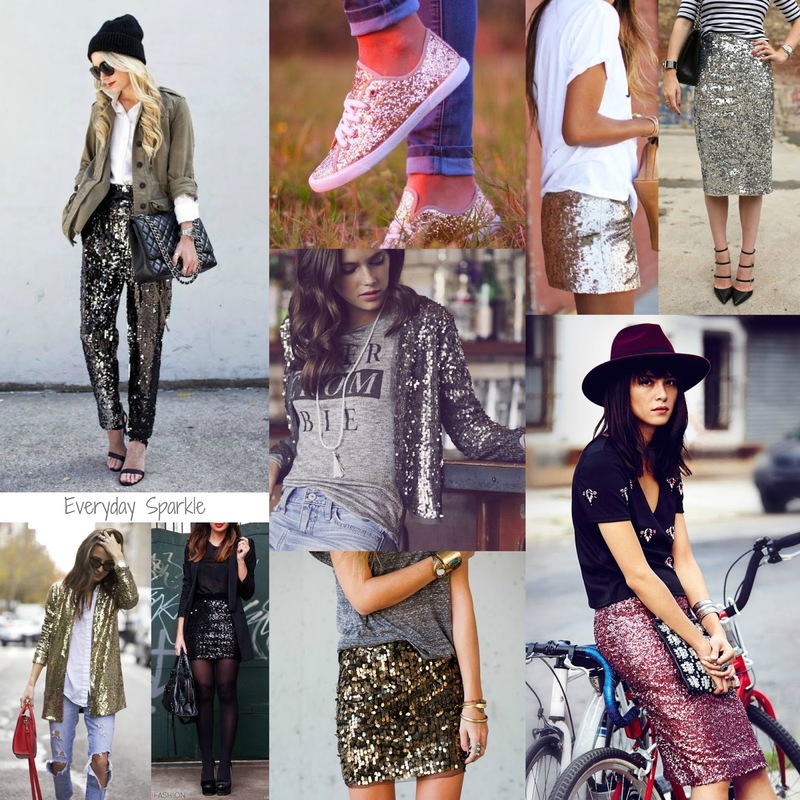 For me, my go to look is a cute sequin jacket from warehouse which i will thrown on with a cute tee (plain or slogan) and ripped jeans with sneakers but i would love to be brave enough to rock the pencil skirt and stripe tee look above, but haven't yet found the right skirt (but i will keep looking). I have also just purchased the perfect pair of sparkly flats from Topshop (check them out in my November Wishlist ) that look amazing with a simple dress and tights or again my ripped skinny jeans and a tee. However you choose to sparkle this December, enjoy and remember fashion should be fun so embrace your inner disco ball and shine (even if you are just popping to the shops).